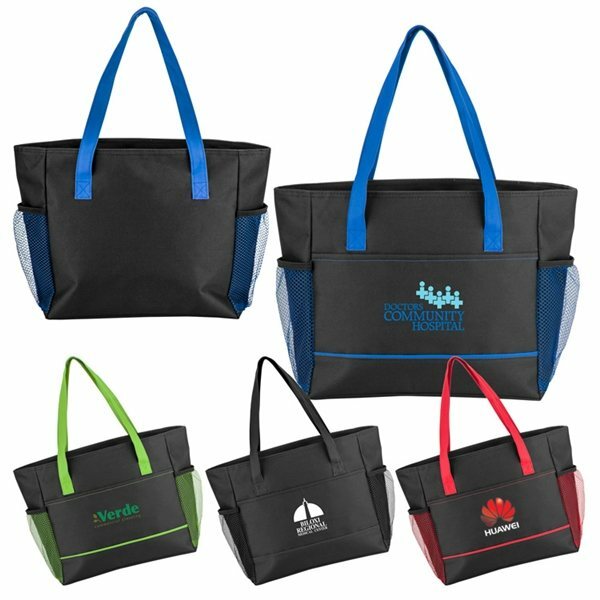 Black 600D polyester cooler tote with bold color accents. Top zip-main compartment holds up to 16 cans and stays insulated with heat sealed PEVA lining. 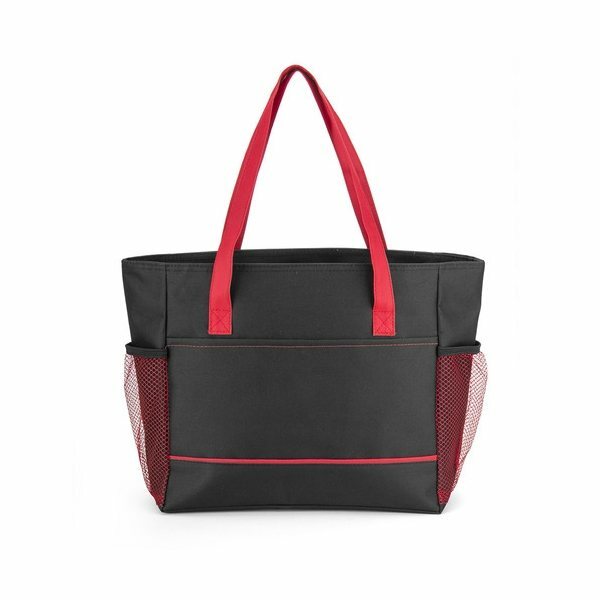 Double side mesh pockets, double handle straps, and contrast detailing. Affordable and top quality for that cost! The printing was very clear. 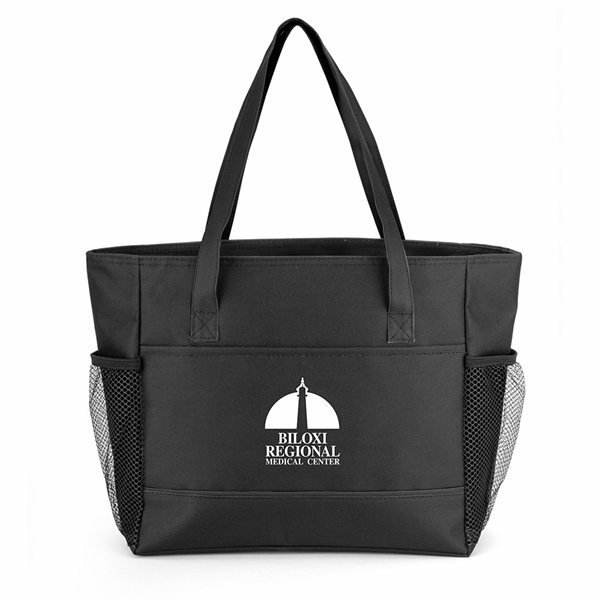 We love this product!! Hurray!! I cannot say enough good things about AnyPromo. I love the quality! Most liked its appearance. Nothing fits into the "least liked" category. the product arrived as expected and the designers went above and beyond to match our font to the language at the bottom of the product.